Blue Cove isn’t quite the tranquil escape Jessie is hoping for. Jessie is a successful and well liked reporter in New York, but city life isn’t for her. When an opportunity to move to Blue Cove presents itself, Jessie takes it. I could practically see the stress melting off of Jessie as she drove to Blue Cove and made her dreams of living in a town by the sea a reality. From the moment Jessie arrives in Blue Cove, it becomes clear that it is not as peaceful as it seems. Something sinister is happening in Blue Cove, and Jessie has landed right in the middle of it. Can Jessie use her investigative skills to solve the mystery before she becomes the next target? I really felt sorry for Jessie. She was looking for a more relaxing lifestyle when she moved to Blue Cove and all she found was trouble. Fortunately, Jessie is a tough woman. Whether it is a ghost seeking justice or a hired thug, Jessie takes everything thrown at her in stride and always remains focused on her mission of discovering the truth. While it is very easy to like Jessie, I do think she is too perfect. Literally everyone in town likes her, except the villains she was attempting to unmask. I understand that some people have magnetic personalities, but I think Jessie would have seemed more real to me if she would have had more flaws. Jessie’s only flaw seems to be her desire to control everything in her life. Romance wasn’t something she was looking for, and certainly not with Matt, a bossy detective. I wasn’t quite sure what to make of Matt and Jessie’s relationship, or lack thereof. They truly seem to get on each other’s nerves and most of their exchanges end in arguments. In private, they both profess to find the other attractive, but it takes a while for this to become evident in their actions. Even though I would have liked to see more tender interactions between them, I still enjoyed watching them slowly grow into a good couple. The suspense regarding how and when Jessie and Matt put all the clues together was very well done. Ms. Morrison did an excellent job of revealing the puzzle piece by piece through Jessie’s investigative work. Though Jessie and Matt are both very smart, they almost didn’t solve the mystery before it was too late. I had some suspicions regarding one of the last hidden members of The Harvest Club, but I can honestly say I wasn’t completely sure until the very end. 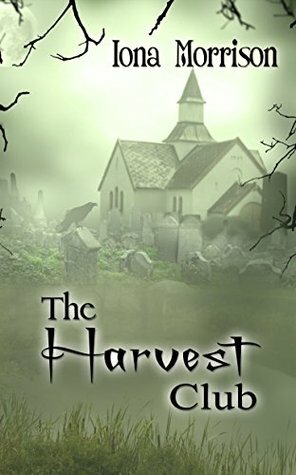 Overall, I enjoyed reading The Harvest Club. The pacing is well done, and Jessie is a smart and sweet heroine. I recommend it to anyone looking for a mystery that alternates effortlessly between being chilling and heartwarming.